Even if it seems quite easy and many people are trying ti do it in the classic Microsoft Paint application on their computer, it’s pretty hard to remove photo background without having disastrous results that look far from professional. In case you need to remove the background of only one of two pictures, you should ask help from your group of friends and colleagues. You will be surprised at finding out that one of the people you interact with has some steady Photoshop skills. But if you don’t find help like that after a couple of days of searching or if you need more work done than the background removal for a couple of pictures, you should get the plan B, looking for help on the internet. 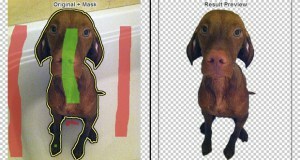 There are two main possibilities of remove photo background online. The first one is to ask help from a freelancing designer or a company that handles this kind of services. The second one is to use an online application specialized in this kind of task. You will be surprised by the huge variety of options you will have, and you will see that you can get this job done with ease in the shortest time possible, with minimum effort and expense. The following paragraphs in this article will let you know more about these two possibilities of removing a background from pictures with no Photoshop skills and will help you make the decision that suits you best. There are thousands of freelance designers on the internet and just as many companies that can offer clipping path or deep each service. No matter which one of these two possibilities will choose, one thing is certain, the results will please you. The reason for which the results are good when you choose to work with image editors instead of applications is the fact that the image editors are doing all the job by hand, meaning that the clipping path will be drawn precisely and no rough edges will be noticed in the final form of the picture, the one in which you will see just the focus of the image, without the background or leftovers from it. Online companies are the recommended ones when you need a lot of work done in a short time because the managers of these image processing companies usually divide your project into several parts which will be assigned to different designers who are working in the company’s team. This trick enables companies to offer very fast results, being able to handle orders of over 200 images in less than a day. The prices for these services won’t change just because you will get the results faster than you would if you would work with a freelance designer. If you want to get the entire work done by yourself, but you don’t have access to the right software, and you lack the skills for performing clipping path procedures, you can always try an online application. They are pretty simple to use, all you will have to do will be to trace some lines and mark some areas. There are both free and paid applications that will help you remove photo background, and you should choose the one that fits your needs the most. These two possibilities of removing the background of your images online, can’t be compared because the results you will get from each of them are very different and the purposes for which they can serve are different too. So review your needs and make the right choice yourself.